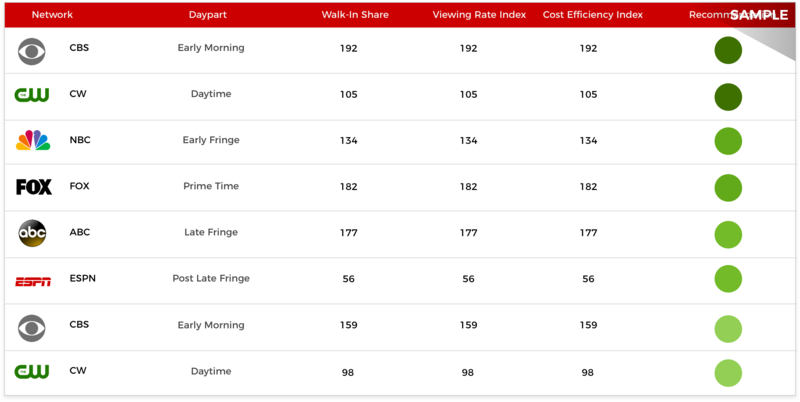 Are your TV commercials driving foot traffic? 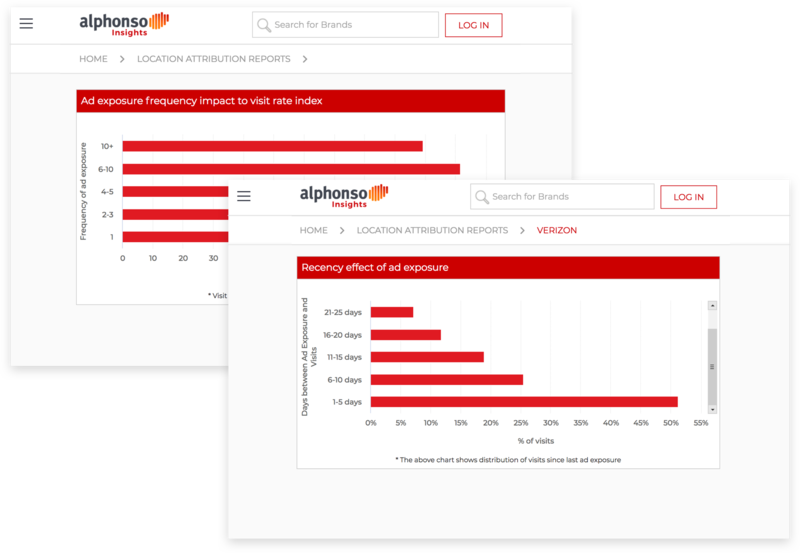 Alphonso Insights with walk-in attribution can tell you. Spend your dollars wisely. Our walk-in attribution provides granular data on the efficacy of your creatives. Track whether people who saw your ads on TV actually visited your business. Understand store visits by specific location, for any flight and for any visitation period. Which networks and dayparts drove more people into your business? Alphonso Insights gives you the answers. Understanding your customers’ viewing habits helps you target them, and similar audiences, more effectively. You’ll make smarter spending decisions when you know where your ads will have the most impact. Learn which networks your current customers are most loyal to, and in which dayparts your’e most likely to find them. There’s no better way to reduce waste and maximize engagement with TV audiences on digital. Other solutions merely scratch the surface. 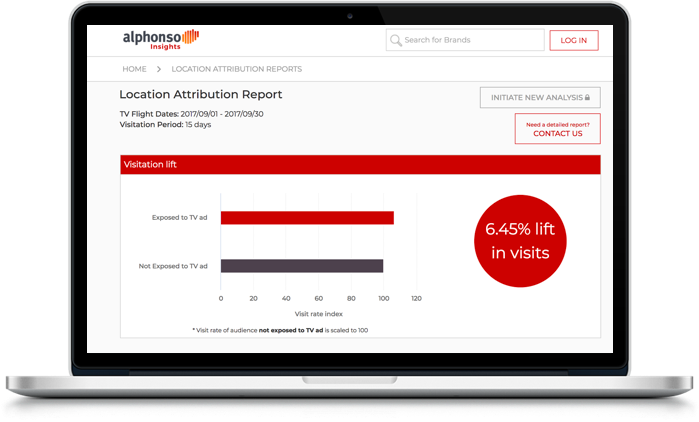 Alphonso Insights walk-in attribution uncovers the granular metrics. 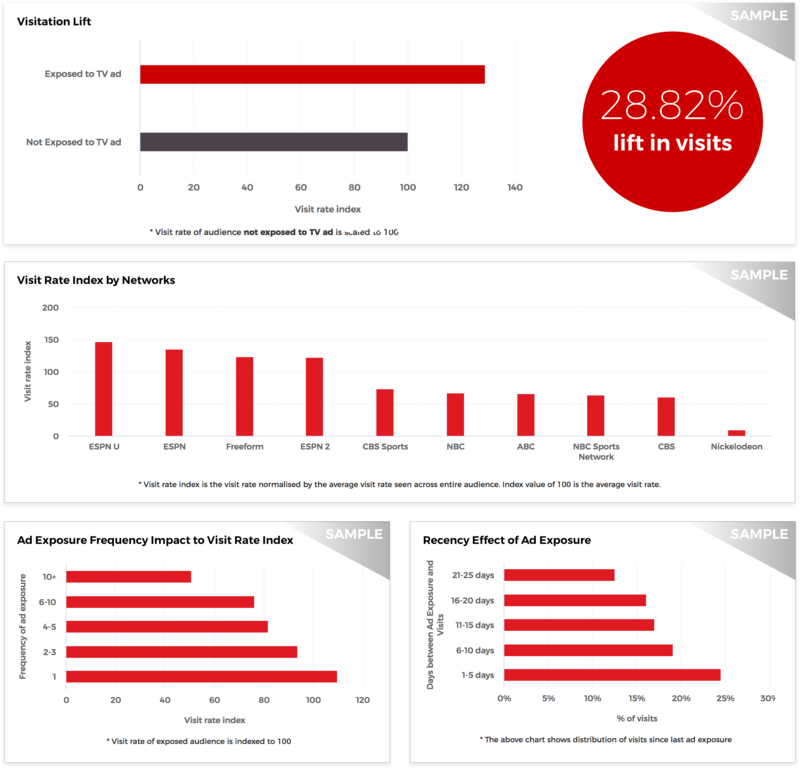 We do the heavy lifting, and make it fast and easy to understand the impact of multiple campaign factors including frequency, recency and much more. 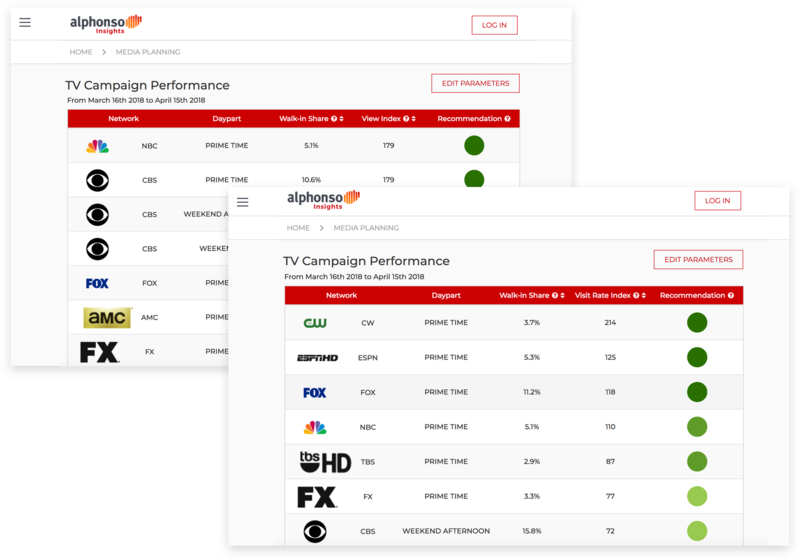 Let us show you how Alphonso Insights can help deliver real ROI for your next campaign, and optimize spend across TV and digital. Are your TV commercials converting to walk-ins? 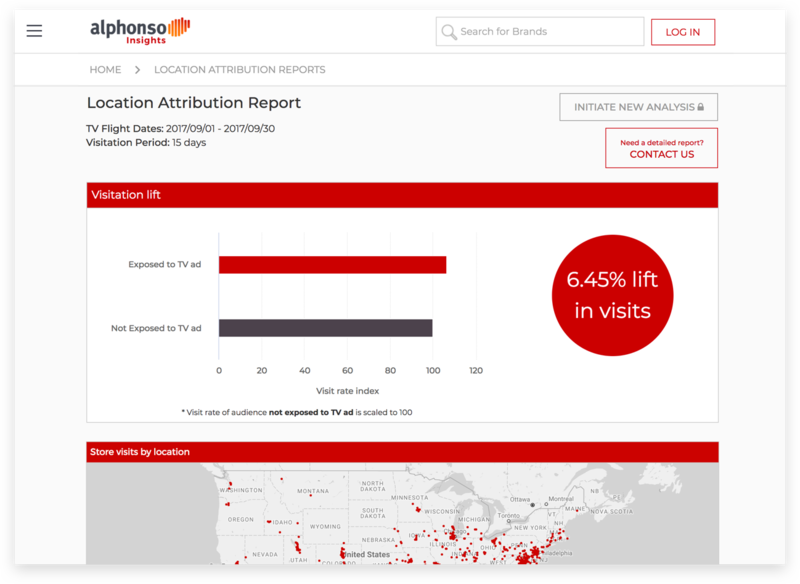 With Alphonso Insights walk-in attribution, get granular data on which networks, shows and dayparts are delivering the best results. Undestand the impact of frequency, recency, and more. What are your customers watching right now?